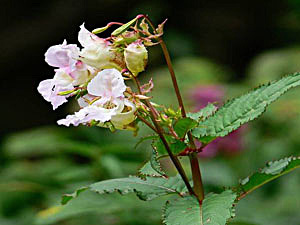 The plant is used in Bach flower remedies - the keywords for prescribing it are "Impatience", "Irritability" and "Extreme mental tension". It is also one of the five ingredients in the "Rescue remedy". Shrubberies and bushy places, often on grazing ground, frequently gregarious, 1800 - 4000 metres in the Himalayas. 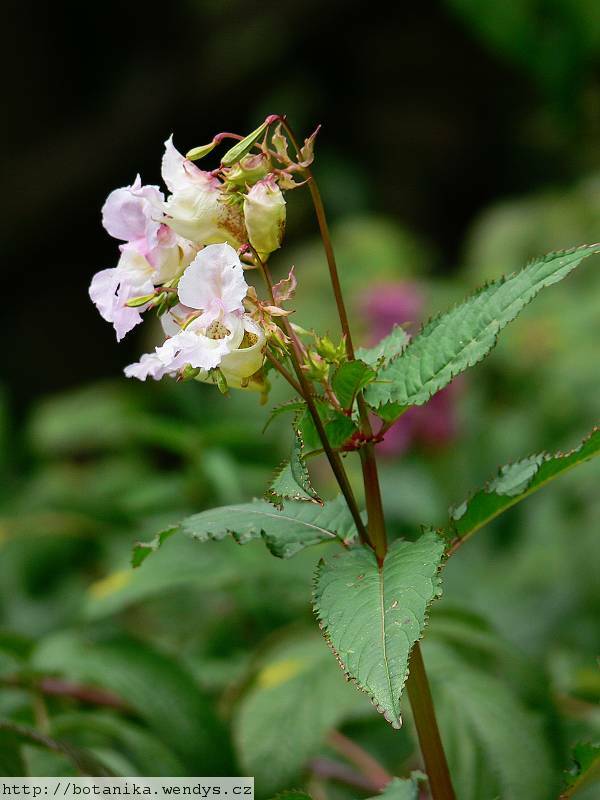 Grows on river banks and waste places in Britain. Young leaves and shoots - cooked. They should not be used on a regular basis, see warning at top of record. Seed - raw. A delicious nutty flavour, but difficult to harvest in quantity mainly because of their exploding seed capsules which scatter the ripe seed at the slightest touch An edible oil is obtained from the seed. An oil from the seed is used for lighting. Seed - sow spring in a greenhouse. A period of cold stratification may help to improve germination rates. When they are large enough to handle, prick the seedlings out into individual pots and plant them out in the summer. If you have sufficient seed, it is worthwhile trying an outdoor sowing in situ in the spring.